Did you know that herbal blends specific for the health of the female menstrual cycle can be taken in two different phases to help match the natural rhythm of the menstrual cycle? Specific herbs can be taken during the first half of the menstrual cycle known as the follicular phase, and during the second half, known as the luteal phase. The follicular phase and the luteal phase are part of a biphasic cycle. Taking herbs in a biphasic cycle may gently guide and aid the body in recognizing the natural pattern of hormonal communication to help regulate and promote a healthy, regular menstrual cycle. The average menstrual cycle is about 28-30 days long, though it may be longer or shorter, for each woman has her own unique cycle. The menstrual cycle begins on day 1 with menstruation also known as the menstrual period. Menstruation lasts anywhere from 2-7 days on average. A woman’s bleeding time is the beginning of the follicular phase. This is the shedding of the uterine lining in preparation for the building of a new uterine lining in preparation for ovulation, conception, and pregnancy. The hypothalamus responds to the different levels of estrogen and progesterone secreted from the ovaries. When estrogen drops during the period, the hypothalamus secretes GnRH, which signals the pituitary to release FSH, which then initiates the follicular growth in the ovary. 10-20 follicles will begin to develop, but only one of these will mature to become an egg. While they are developing, the follicles are producing estrogen, which stimulates the endometrium(the uterine lining in preparation for the implantation of a fertilized egg) to develop in the uterus. As the estrogen increases (secreted from the developing follicles prior to ovulation), the cervical mucus begins to change to ‘fertile mucus’ which is egg white in its consistency. The increasing levels of estrogen then trigger the secretion of GnRH from the hypothalamus, which then signals the surge of LH and FSH; this triggers the release of the egg. Once ovulation occurs, FSH levels decline quickly and LH starts to drop slowly. The endometrium is now influenced by progesterone, causing it to develop in order to be capable of nourishing a developing embryo. If fertilization does not occur, the decline of the hormones causes the endometrium to shed, which is dependent on hormones at all times for its health, maintenance, and development. When estrogen reaches a low enough point, the hypothalamus releases GnRH, and the cycle starts over again. Each new cycle begins and follows a complex and harmonious communication of hormones. It is when this delicate communication becomes broken that problems begin to arise and can alter the length, timing, and regulation of the menstrual cycle. This is where biphasic herbal formulas may help the body create and maintain a regular menstrual cycle. Biphasic herbal formulas can guide and support proper function of the reproductive organs in the body. Biphasic herbal formulas aid in hormonal balance, health of the reproductive organs, endocrine system function, and proper blood formation within the reproductive organs. Specific herbs can be taken together in a specialized blend during either the follicular or luteal phase, in order to help promote a regular menstrual cycle. Some of the herbs may be part of both biphasic blends; these herbs have supportive actions for the entire menstrual cycle and are not specific to either just the follicular phase or the luteal phase, but both. On average this phase lasts from 12 to 14 days and ends with ovulation. The herbs in this phase are specific to supporting release of the hormones responsible for building the uterine lining, preparing and maturing the follicles for ovulation, and supporting correct timing of ovulation. The luteal phase lasts on average anywhere from 12-16 days and ends with the beginning of menstruation. The herbs for the luteal phase are deeply nourishing for the endocrine system, supporting proper function of the glands that produce and release hormones. Some of the herbs for use in the luteal phase may be the same as the follicular phase herbs, for prolonged, continued, balanced support of hormonal balance and reproductive organ health. The goal in this phase is to support the body in increasing and sustaining proper progesterone levels to support implantation and growth of the fertilized ova. What should you do if you find out you are pregnant while taking these herbal formulas? The herbs in these formulas are not meant to be continued into pregnancy. Please discontinue use once pregnancy is confirmed through testing. There has never been such a great way to support the body in having a regular menstrual cycle than biphasic herbal formulas. Biphasic herbal formulas are an excellent way to support the health of the female menstrual cycle. Biphasic herbal formulas support proper function of the endocrine system, hormonal balance, health and tone of the reproductive organs, and natural timing of the entire menstrual cycle. I am 47 years had a full term still born in 2014 . I thought I was done with having kids however I still find myself hurting. I will definitely would like to try again, I know age is not on my side but your success stories give me hope. please advise as to where and how to start . I am so very sorry! Have you sought emotional support for your hurt? This may be an important part of your program for recovery (even 2 years later) and for moving forward in a healthy way. What may be most helpful however is to consider working one on one with a Fertility Herbalist who can help you create a natural fertility program specific to your needs. 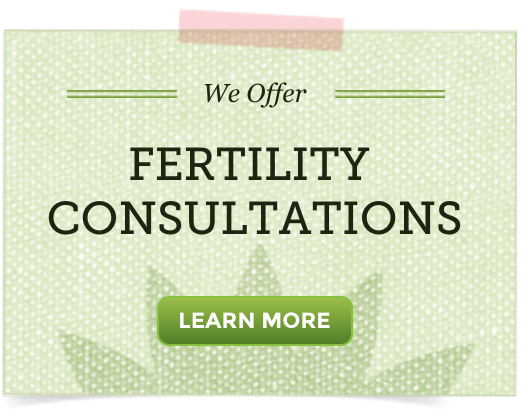 We offer this through a Fertility Consultation.